The concept of this story is one I’ve seen on numerous occasions- enemies stranded together somewhere, forced to rely on each other for survival. It’s not a new concept and I don’t think S. Usher Evans really put a new spin on it. Right from the start I did have a difficult time reading it. There are two POVs the story is told through and they switch off far too often for my liking- it happens many times within a chapter. I did enjoy the plot. It is simple and easy to follow. Theo is a stubborn captain in the Raven military. Galian is the prince of Kylaen, a naive man, who is forced to join the military by his father. 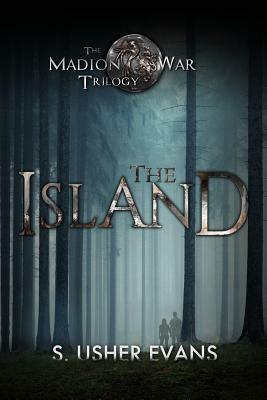 They both fight and crash on a deserted island, where they are forced to rely on each other. They both have stereo-typical views of the other, but because Galian is also a doctor, and through his mentor, he understands that Theo is more than an enemy. Over time they come to esteem one another. Without spoiling, there are events that take place that confirm Theo’s thoughts about how Kylaenians treat Ravens. These events also open up Galian’s eyes and he can finally admit that Kylaen is not the best place, the war is being fought for unacceptable reasons, and the treatment of it’s people by his father, the king, is repugnant. He vows to protect Theo, if they are ever rescued, and to stand up to his father regarding the wear and the Kylaen prison Mael. There is romance; the affection Galian and Theo feel is deep and they prove that nothing will keep them apart. But it’s also inadequate in my opinion. And I do think it is because of the POVs shifting to quickly, so often. Each time a major event takes place in the book, you see if from both sides… which I don’t necessarily need. There is a way to see two character from one person. Overall, decent plot, but quite predictable and no new twists on this trope. Thank you to NetGalley and Sun’s Golden Ray Publishing for giving me the chance to read this ARC. Receiving this ARC for free does not influence my opinion.